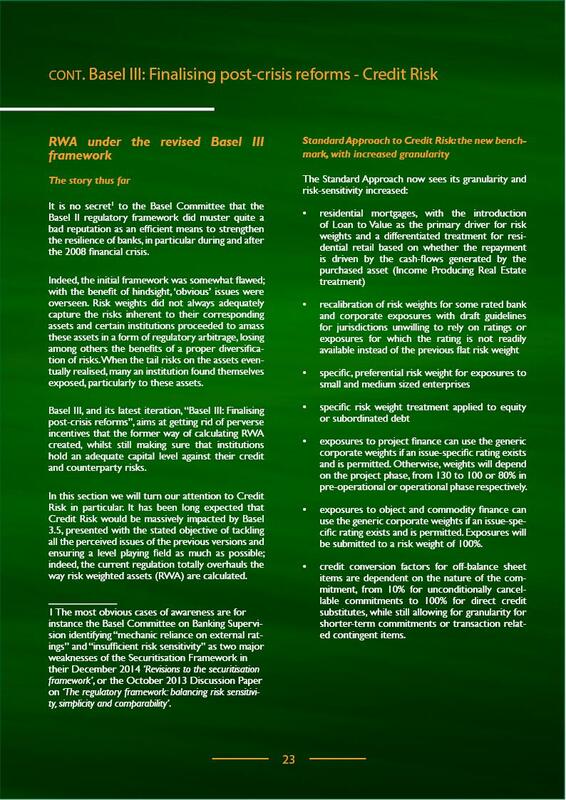 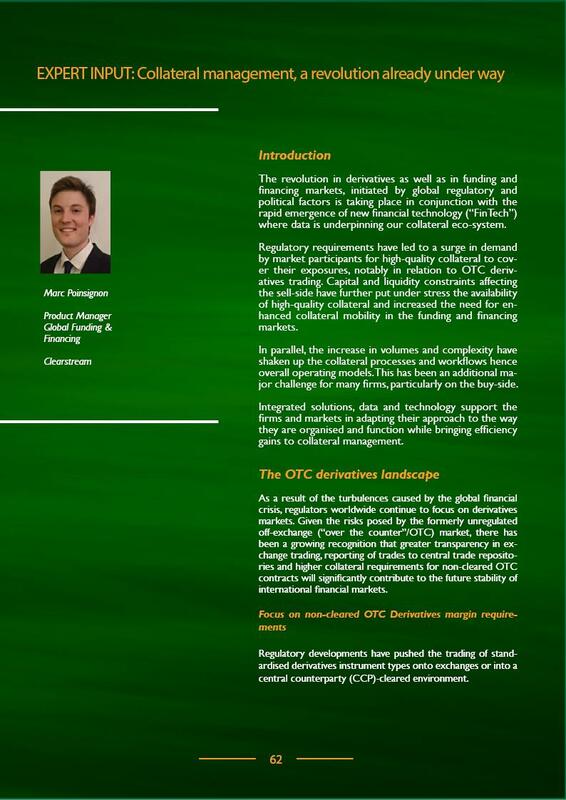 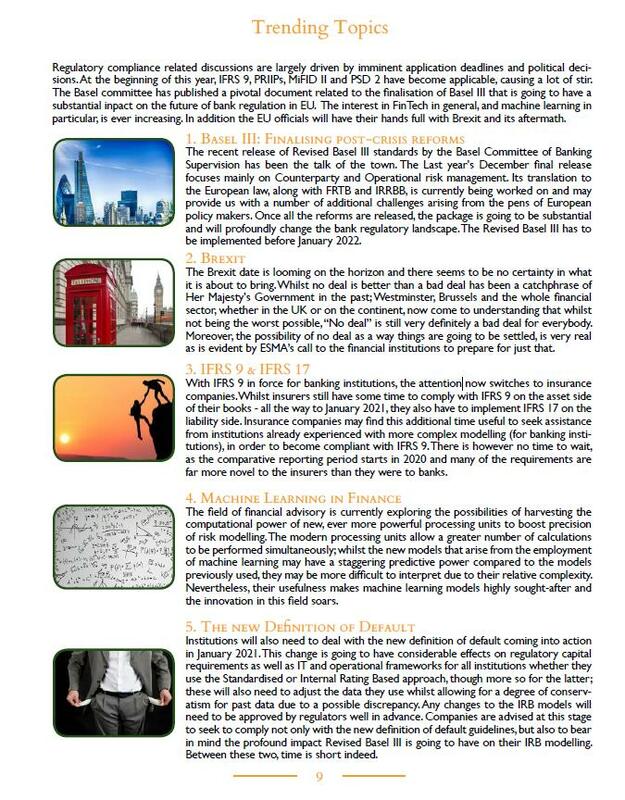 A catalogue of policy updates impacting the financial industry. 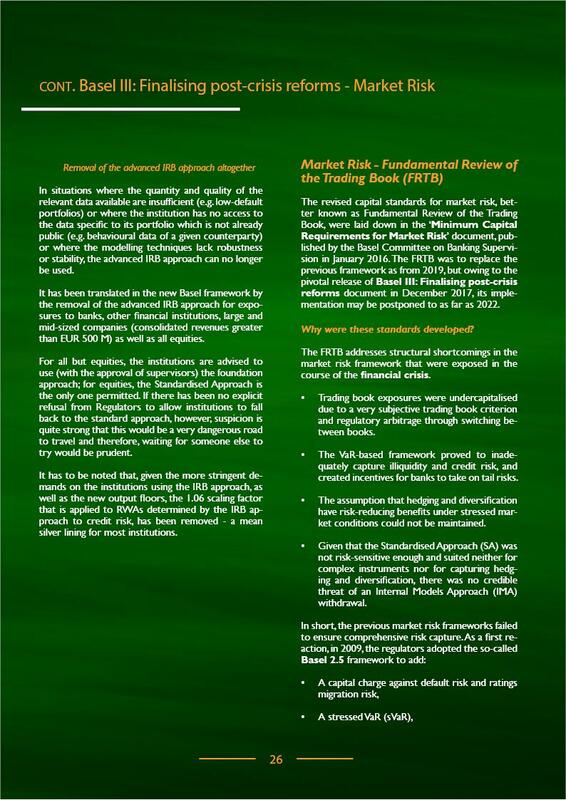 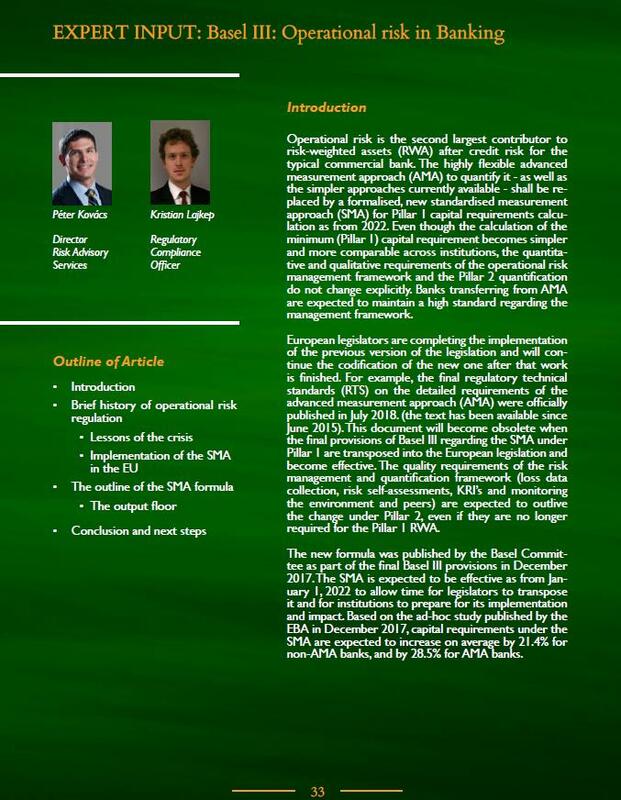 Emphasis is made on risk management, reporting and disclosure. 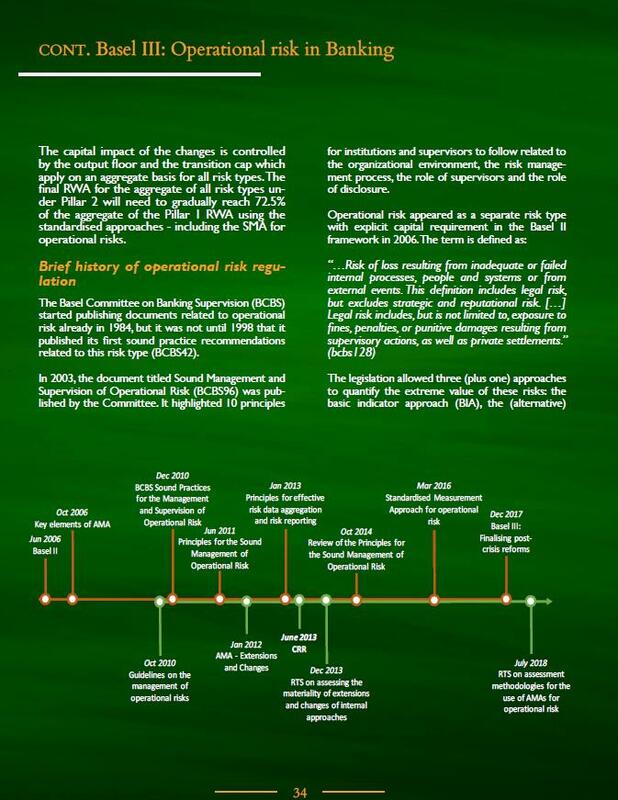 It further covers legislation on governance, accounting and trading, as well as information on the current business environment. 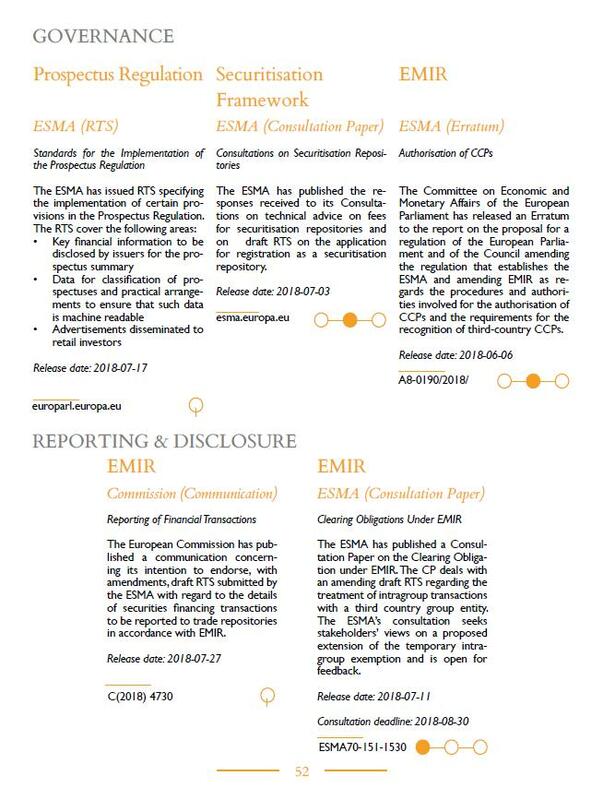 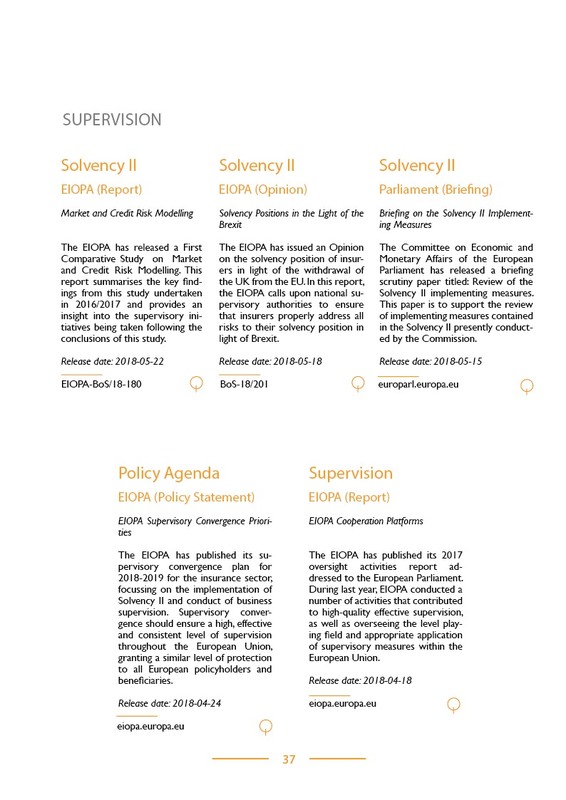 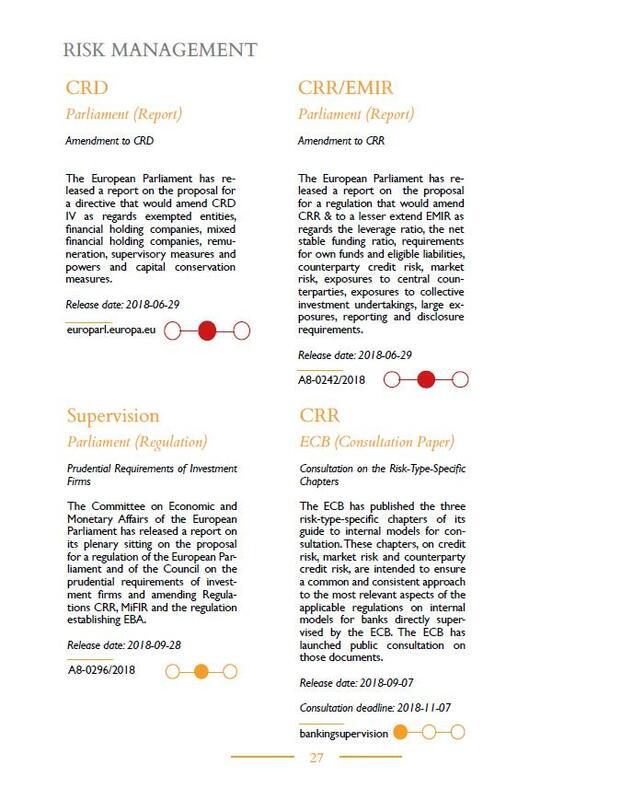 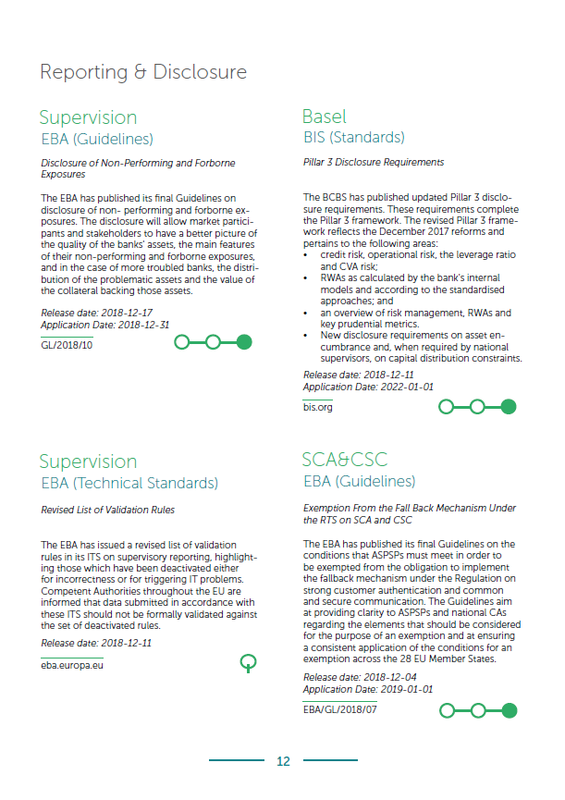 It gives you summaries of the most important regulations by topic, indicates their status and estimated impact and links to further information. 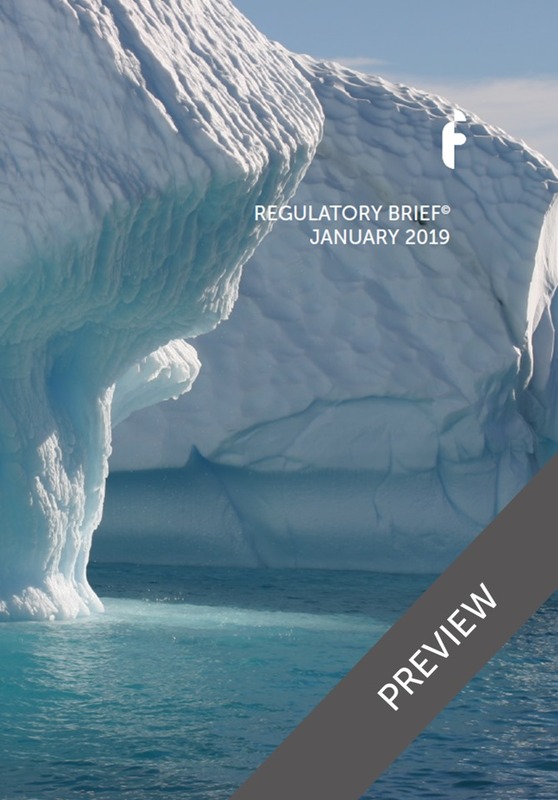 Regulatory Briefs (RegBriefs) reflect Finalyse's priority to master the ever-evolving and complex regulated industry we work in. 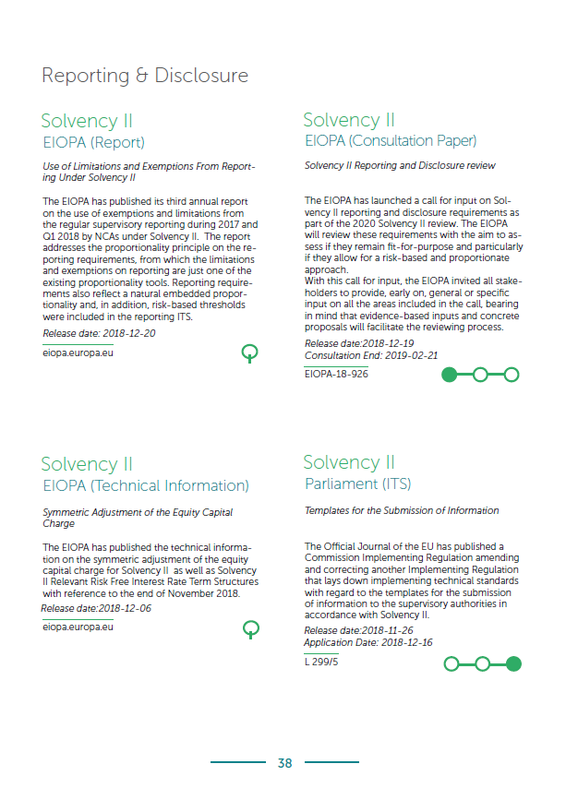 Through concise regulatory updates, we produce a compilation approximately every 4 months depending on policy volume. 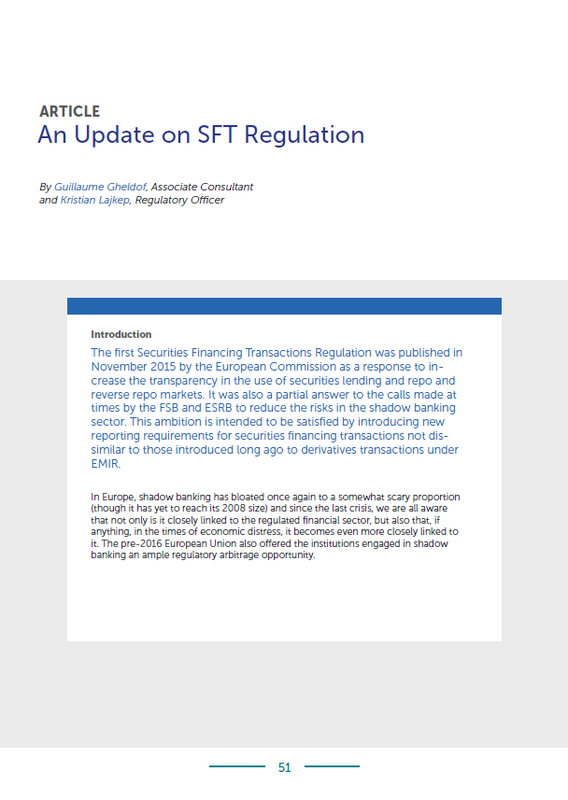 SFTR regulation (and particularly reporting under it). 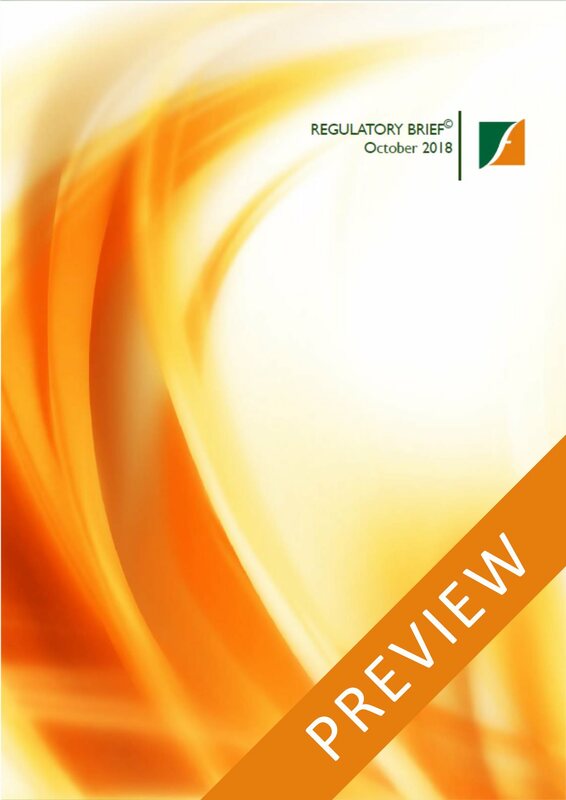 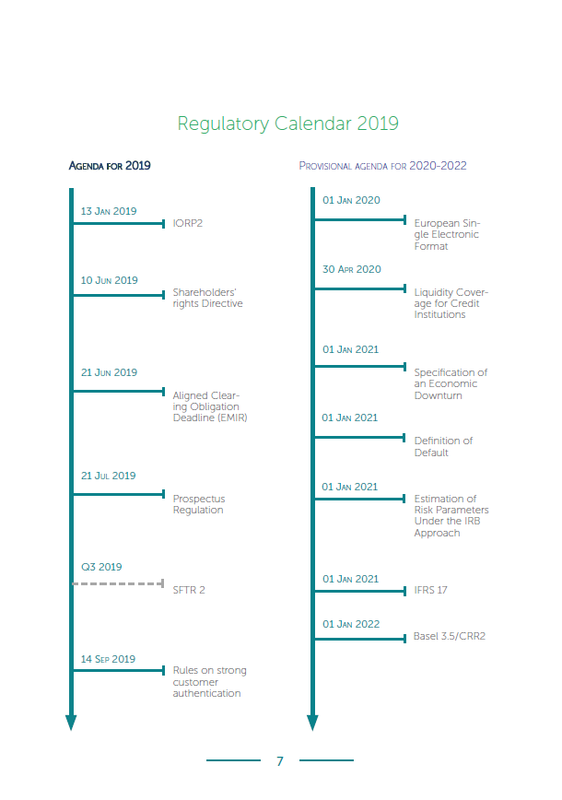 This October edition includes almost 180 regulatory updates collected between 1st June 2018 and 30th September 2018. 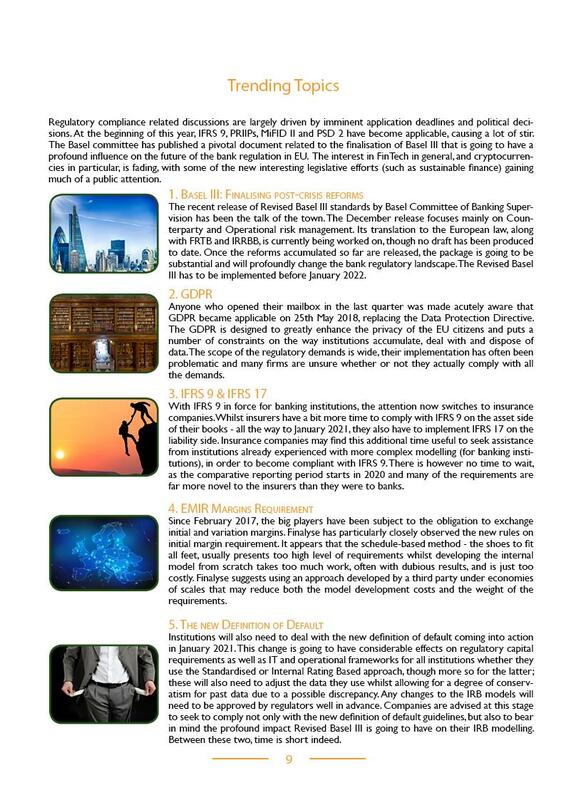 2018 stress tests: evolution, revolution or a chimera? 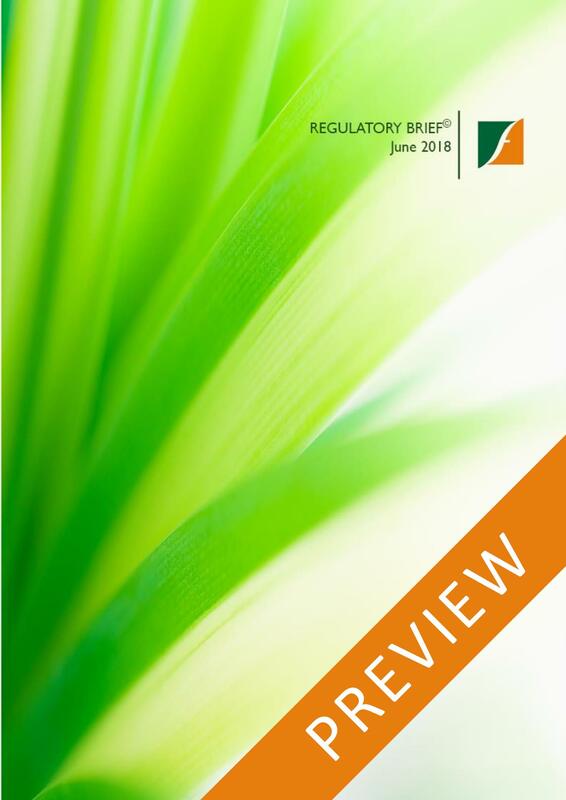 This June edition includes more than 170 regulatory updates from 1 March 2018 to 31 May 2018. 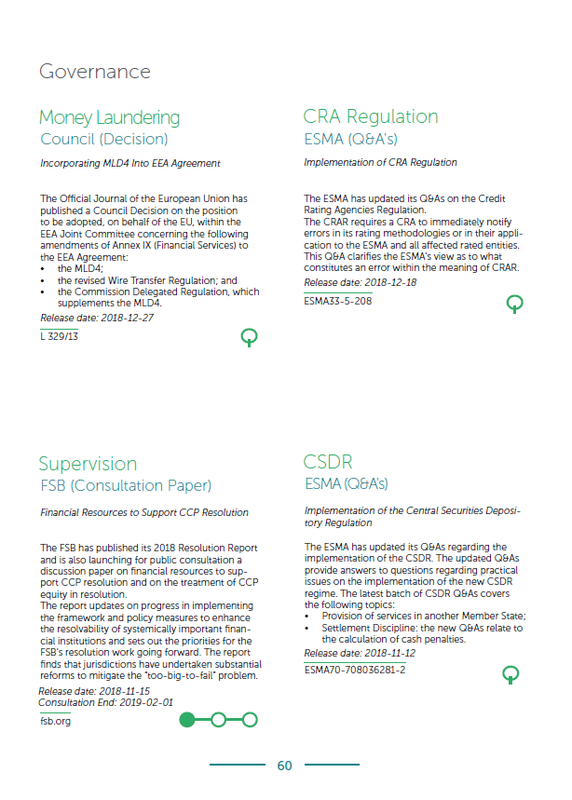 "Basel III: Finalising post-crisis reforms"
A courtesy of our partners from Clearstream: "Collateral management, a revolution already under way"